Whether it’s the same as the year prior or packed with changes, we always get excited for the new Toyota Corolla. 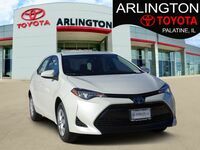 Of course, a redesign certainly increases that enthusiasm, which is exactly why we’re so ecstatic about the all-new, next-generation, completely redesigned 2020 Toyota Corolla in Palatine IL. 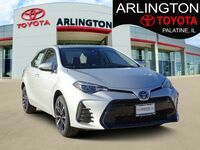 Featuring a completely new exterior and interior design, a new powertrain, a new platform and so much more, the new Corolla will make a great option for anyone in the market for a compact sedan. The Toyota Corolla was first introduced all the way back in 1966. For more than five decades since, it has built itself a legacy as one of the most prevalent, recognizable and popular compact sedans on the market. Having gone through eleven generations through 2019, it was time for Toyota to introduce something new, and the stylish 2020 Corolla is exactly what we needed. Let’s start by talking about that new powertrain we mentioned. First of all, the 1.8L engine found in the current model will still be available in the new model, but it will be joined by a 2.0L four-cylinder as well. Both options, the old and new, will offer superior horsepower and fuel efficiency to the current powertrain options. The 1.8L delivers 139 horsepower while achieving 29 miles per gallon through the city and 37 mpg on the highway, while the 2.0L generates 169 horsepower and gets 29/36 mpg. You’ll have your choice of transmission between a Dynamic-Shift CVT or 6-speed manual. As for features found in the updated model, how about Toyota Safety Sense 2.0 and Standard Entune 3.0 Audio with Wi-Fi Connect, Amazon Alexa and Apple CarPlay Compatibility? Those two outstanding features are just beginning to scratch the surface, too. You’ll also benefit from things like an available JBL Audio system packed with 9 speakers, an 800-watt amp, Clari-Fi technology, and even 6.7” door subwoofers. 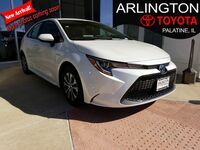 If you’re interested in a 2020 Toyota Corolla of your own, be sure to get in touch with us right away.